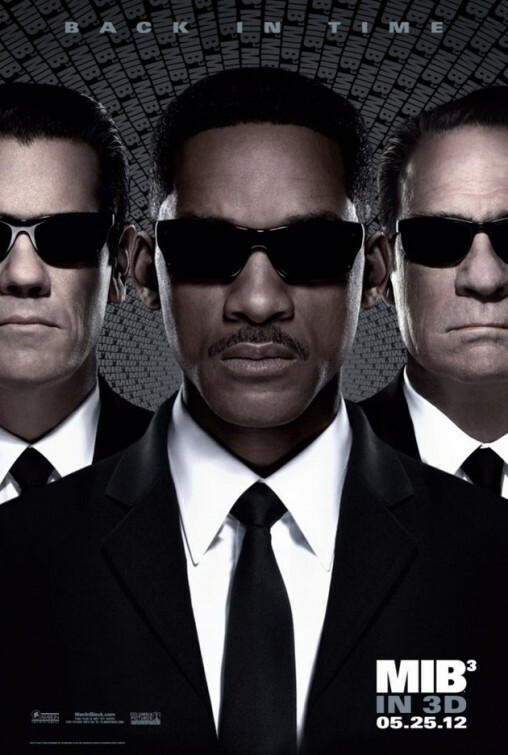 Directed by Barry Sonnenfeld (director of the previous two installments), Will Smith and Tommy Lee Jones reprise their roles once again as Agents J and K, respectively. Joined by additional cast members such as Josh Brolin (a younger Agent K), Jemaine Clement, Emma Thompson, Alice Eve, and even former Pussycat Doll Nicole Scherzinger, Smith and the crew assemble to bring the comedy, story type, and feeling of the original back to memory in an enjoyable fashion. MIB3 is the fun sequel that MIB2 should have been. In this third installment, an escaped alien criminal goes back in time to 1969 to eliminate Agent K, thus preventing the MIB agency from thwarting his “future” plans to destroy the earth. Upon realizing this, Agent J (Smith) travels back to a few days prior to K’s untimely murder in order to prevent his partner’s, the agency’s, and the earth’s destruction. This adventure entertains and brings back several of the enjoyed elements of the previous films. Along the way it also ties in several questions that were left over from the previous two. A good sequel should always find impressive and subtle ways to tie in to the series. Some things of note from this film (aside from Josh Brolin’s awesome performance). I was impressed by Flight of the Concords’ Jemaine Clement as the “Tim Curry-channeling” villain along with the look of some the retro aliens. The late 60’s looked pretty awesome in this film. The end also impressed in an unexpected turn of events that nicely summed up the film and answered several questions. Although a little formulaic, MIB3 follows the formula and executes it with style and efficiency. 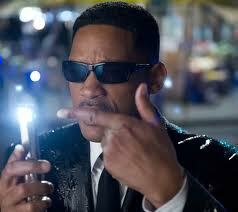 I’m glad to report you will not need a neuralizer to have your MIB3 watching experience zapped from your memory. But I sure could have used one for the other May 25 new release, Chernobyl Diaries (review to soon follow). 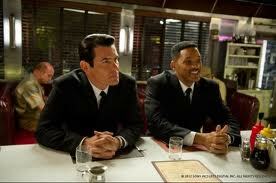 Enjoy Men In Black 3 in theaters now. Those points seem to be agreed upon by most no doubt. Yeah…I did see Chernobyl on a whim. and let’s just say that it was a waste of time. I am trying to finish my review. Been super super busy with multiple projects lately. It may not post until the weekend. Have any movie plans for the weekend? Well there isn’t much out this wknd. I am defintely going to see SWATH, and I am planning to see independent film The Intouchables today. What about yourself? SWATH is all I saw this weekend. I am finishing my review and then I think that’s all I will bother to see. Maybe another round of The Avengers just for the fun of it, but this weekend screams “Stay home and catch up on stuff” to me! i.e. read up on everyone’s pages. 🙂 I hope you have a great weekend. Great review, T. I gave it the same score. The opening sequences were so rough but I thought it was excellent once it got past the introduction phase. Brian, thanks man. Glad you enjoyed. I will have to stop in and visit over the weekend! Sounds like what I was expecting. 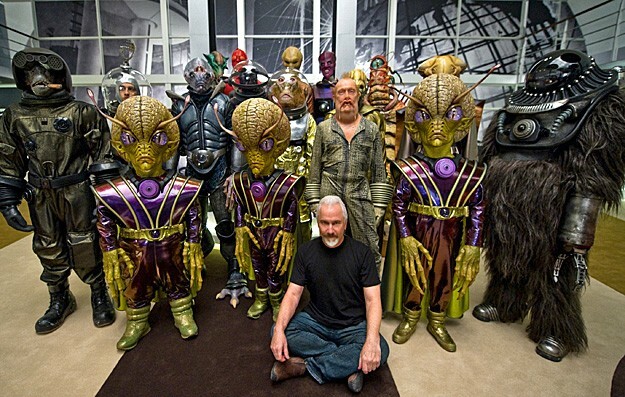 More of the same from the first MiB, which was a lot of fun. Josh Brolin in the trailer alone cracked me up as the young Agent K. Looking forward to seeing that. Josh Brolin really was the reason I wanted to see this one too. I wasn’t too thrilled with #2 and held low expectations for this one. Brolin made it worth it for me. I dont want to hate on it, I thought it was ok. Felt a little “mailed in” though. You know? Its an alright enough diversion I suppose. haha. It was fun. I was glad you checked it out and reviewed it too my man. It does follow that expected formula no doubt. I enjoyed hating on this film. Just look at the plot holes. Agent J has to jump 3000 feet to get the time travel to work in the beginning then he is able to jump 360 feet off that launch tower and it still works? That ending made no sense whatsoever, how would those events justify Agent K being a prick to Agent J for 3 films? Wouldn’t just the opposite be true? Also why is Agent J the only one who remembers agent K when he is killed back in time? Why would Agent J even be an agent at that point if he was recruited by Agent K in the first place. These my friends are the sort of plot holes you get when you are writing and shooting your film at the same time. I did enjoy Brolin’s performance but he was slumming. haha. Thanks for the fun comment man and thank you for the spoiler alert prior to. I see what you’re saying and especially in the jump…I was questioning myself. But in the end, I really couldn’t over analyze given that I found myself really enjoying this so much more than the 2nd MIB. LOL at the writing/shooting line though. I am pleased you liked this one T. I reckon I will await a blu release, but I think it could be fun… thanks for the review!! It was fun. Thanks for taking the time to read it Scott. Glad to read you enjoyed it. Don’t know yet if I’ll be able to catch it in the cinema, but it will be one I’ll check out. I did enjoy watching it. Did you like the first MIB? Yeah, although I can’t say I’m a big fan of MIB, but it was very enjoyable. It was. MIB2 made me not enjoy the franchise, but MIB3 reeled me back in. Great review T, good summary and no spoilers. I saw the first MIB but not the second so will probably get the DVDs from Netflix at the same time. Chernobyl Diaries, huh? That looked really scary to me, i’ll look for that review. Thanks Paula! it was fun. Still haven’t seen it but it looks like a fun film. I think the key for me is to keep my expectations in check. But any film that has time travel in it always makes me happy. big time travel movie fan huh? Back to the Future, Time Machine, etc…Which time travel movie would be your favorite? it’s always an intriguing concept.